The Portland Trail Blazers have had a major makeover during the offseason. They traded Nic Batum away and LaMarcus Aldridge bolted for the Spurs. Also gone are Wes Matthews (Mavs), Arron Afflalo (Knicks), Robin Lopez (Knicks), and Steve Blake (Detroit). For the most part, the Blazers FO has done a good job assembling a ragtag crew, with a projected starting five of main man Damian Lillard, Gerald Henderson, Al-Farouq Aminu, Mason Plumlee, and Meyers Leonard. 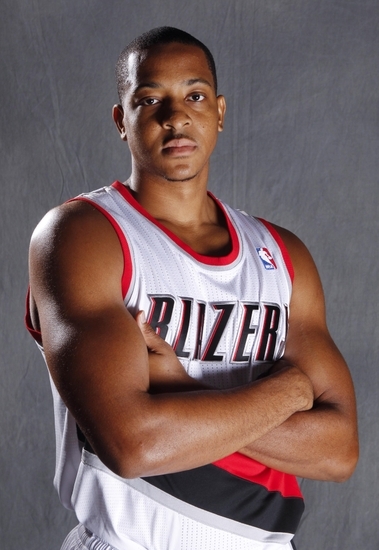 One player that’s on close watch by Fantasy hoops enthusiasts this year, though, is third-year guard CJ McCollum. McCollum was picked 10th overall two draft classes ago, after showing he was a solid scorer and distributor for Lehigh. Injuries and lack of playing time had mostly relegated McCollum as an afterthought, but he showcased his talents late last season. He had a mini breakout at the end of the Blazers’ disappointing playoff run, and he is poised to get major minutes this year–Henderson or no. He’s set to get SG minutes while Dame is on the floor, and he is already slated to run the point when Lillard is resting. In the last 7 regular-season games he played in last season (he sat out the final game), McCollum averaged 17.9 ppg. He scored 2 points and 6 points, respectively, in Games 1 and 2 of the playoffs before blowing up. He dropped 26, 18, and 33 points in the final 3 games as the Blazers were eliminated by the Grizzlies. During that run, he also had 11 total threes, including 7 in that Game 5 explosion. Of course, he only had two assists total during the entire series. He also averaged just one assist per game during the season. But as he’s now going to get more time at the point, expect those assist numbers to improve considerably. That 69.9% clip from the charity stripe also needs to improve. Clearly, McCollum is capable of scoring in bunches. With the ball in his hands more this season, he has a chance to really make a big impact on Fantasy NBA rosters. At the moment, his ADP in Y! leagues is around the 120th pick, but as the hype builds up, expect managers to pick him up somewhere in the 90s. By the way, I have already drafted him in five out of five public leagues.